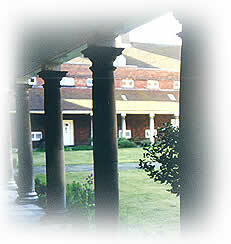 Bromley College was founded in 1666 by the Will of John Warner, Bishop of Rochester to provide housing for “twenty poore widowes of orthodoxe and loyall clergiemen.” The bishop had been deprived of his see and palace during the Commonwealth, when he spent years moving around the West Country, staying with relative and friends. He knew what is was like to be homeless and decided to use some of his considerable wealth to provide for the widows of clergy who had been killed in the Civil War, supporting the King. John Warner, whose estate in Walsingham in Norfolk is still in the family, and his wife had no children. His sister had married and her two sons became John Warner’s heirs, assuming the name Lee-Warner. They became archdeacons in Rochester Diocese. It was intended that the college should be built in Rochester, near the Cathedral where the residents would be able to worship. However, land was apparently not available and after the passing of a special Act of Parliament, it was built in Bromley in 1672, near the Bishop’s palace which was on the site of the present Civic Centre. The original building consisted of twenty houses built around a quadrangle with a chapel and larger residences for a chaplain and a treasurer. This quadrangle, built in classical style, is usually referred to as the “Wren Quad” as it was thought until relatively recently that Sir Christopher Wren was its architect. It is now acknowledged that Captain Richard Ryder, one of Wren’s surveyors, was responsible for the design and construction. The accommodation consisted of four stories, with a basement kitchen for the maid, a ground floor living room for the widow and a large bedroom on the first floor with an adequate landing where the maid slept. The attic was for storage. It was soon felt that the maid (and often a daughter also) ought to have better sleeping arrangements and stairs were added to enable better access to the attics, dormer windows added in the roof, and walls built to separate the roof void. A second quadrangle, known as the “New Quad” was built in the eighteenth century from the bequests of Mrs Maria Bettenson of Chislehurst and William Pearce, a wealthy London merchant and brother of Zachary Pearce, another Bishop of Rochester. Later, the chapel was rebuilt to accommodate the larger number of residents. 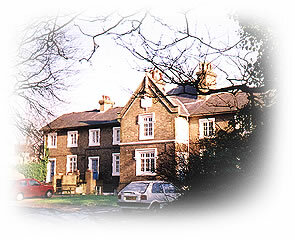 Sheppard’s College was founded in 1840 for unmarried daughters who had resided with their mothers in Bromley College and who became homeless when their mothers died. It was named after Mrs Sophia Sheppard, the wealthy widow of Dr Thomas Sheppard, a fellow of Magdalen College, Oxford, and sister of the President of Magdalen, Dr Martin Routh. “The Venerable Routh” as he was called from quite a young age lived into his hundredth year still as President. Heads of Oxford and Cambridge colleges were not then required to retire, though this was quickly changed after Dr Routh’s death. Throughout most of their history, Bromley & Sheppard’s Colleges have had a close connection with Magdalen College, Oxford. Bishop Warner was a fellow there, and for a much of the colleges’ earlier history, each chaplain had previously been a fellow of Magdalen. With the addition of Sheppard’s College, a decision was made to enlarge the chapel but the foundations were found to be inadequate and so it was rebuilt a second time in 1862. The Victorian stained glass in the chapel depicts women mentioned in the Bible. About this time the Porter’s Lodge was built and a small clock tower added in the Wren Quad. Probably the most well-known chaplain up to recent times was the Rev’d Henry Adams. His adventure stories for boys were very popular in the late nineteenth century, the first, The Cherry Stones, having been the completion of one his brother, the Rev’d William Adams, fellow of Hertford College, Oxford, had started before his early death. Henry Adams wrote many more boys’ adventure stories and also books on Latin and Greek grammar, theology and ecclesiastical history. More recently, Canon Edward Morrow, chaplain, had been a vocal opponent of apartheid in his home country of South Africa and in Namibia where he served for many years as a missionary, first as a surveyor and later as a clergyman. Two chaplains, a father and son, were also vicars of Bromley. The Rev’ds Harrington and Thomas Bagshaw are remembered in one of the stained glass windows. In the earlier part of the twentieth century, the trustees considered the possibility of rebuilding the colleges at Bromley Common. The plans were made and steps taken to put them into effect after the Second World War but they were opposed by the people of Bromley. The Secretary of State was involved and a committee of enquiry set up, the result of which was to decide to upgrade the existing building. This was done in the mid-1970’s when the four storey houses were converted into first and second floor flats and the trust deed changed to allow clergy and their wives to be resident. Queen Elizabeth the Queen Mother attended the ceremony marking the completion of the re-ordering on 3rd May 1977. The Colleges continue to provide accommodation for widow and daughters of clergy who have served in England, Scotland, Wales and Ireland, together with clergy and their spouses. In 2006 the Colleges welcomed their first ordained lady, with her husband. While in the early years, the Chaplain merely provided support for the widows, taking the services in chapel, in recent years the Chaplain has also acted as Clerk to the Trustees and generally runs the Colleges. Since 1792, there have been six ex-officio trustees, the Archbishop of Canterbury, the Bishops of London and Rochester, the Dean of St Paul’s, the Archdeacon of Bromley and the Chancellor of Rochester Diocese. In addition there are a number of lay trustees who tend to be responsible for the main policy decisions. In 2004, the trustees launched an Appeal for £1 million both for the maintenance of what is now a Grade I listed building (Sheppard’s College is Grade II) as well as to bring the accommodation up to the standards required under national and European legislation. The work was completed in 2006 & dedicated by HRH The Earl of Wessex KG KCVO.